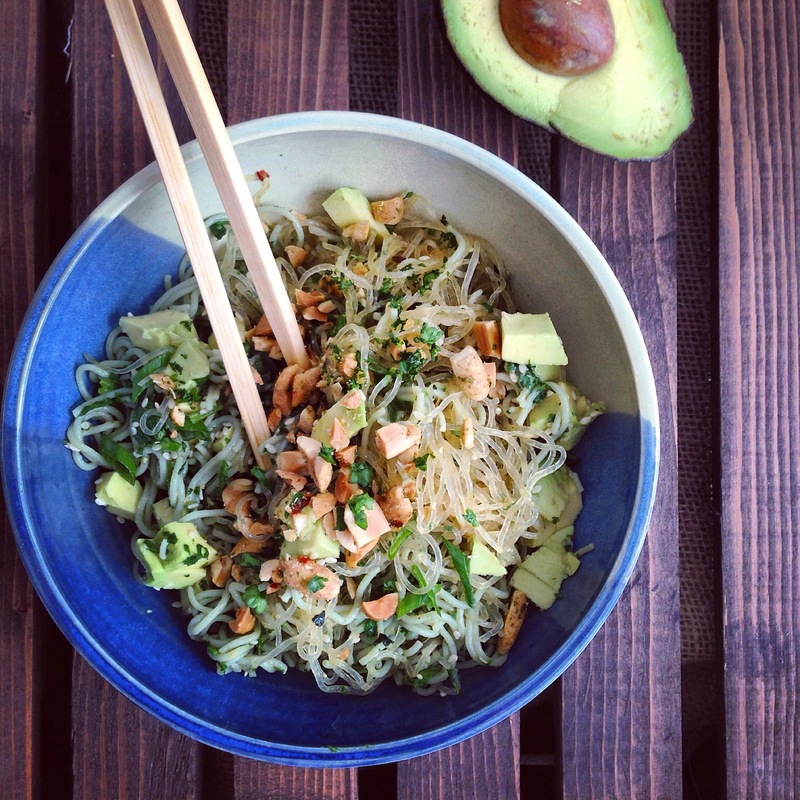 Green Noodle Bowl. | Eat More Plants. I made a funky, mixed up noodle bowl for lunch today. I wasn’t sure that my beloved kelp noodles would go well with cooked rice noodles but it worked! I had some jade pearl rice noodles to use and just thought they were too beautifully green to hide in ramen, which is what they were designated for. Jade pearl rice btw, is one of the most beautiful rices I’ve ever laid eyes on. Pale, earthy green and delicate. I do love my obscure rices – black forbidden rice, red Bhutanese rice, pink Madagascar rice…etc…they just make things more interesting. I finely chopped 1 cup of parsley, a few tablespoons of roasted thai peanuts and sliced 1 green onion thinly. I tossed everything together with my noodles and then topped that with 1/2 an avocado and 1-2 tablespoons of sesame seeds. If you want this more spicy (my thai peanuts were super spicy so I opted out of this) you can add a sprinkle of red pepper flakes into the dressing. Also, try this with soba noodles, udon or vermicelli.